X3: Terran Conflict is part of the X series of video games. Just like its predecessors the game is about trading and combat in a space environment. The game is set far into the future (2938) and takes place after Earth has been reconnected with the larger system of jumpgates in the X universe. This connection to Earth while an occasion of joy also created many new tensions and conflicts which is what the main story line of X3: Terran Conflict explores. 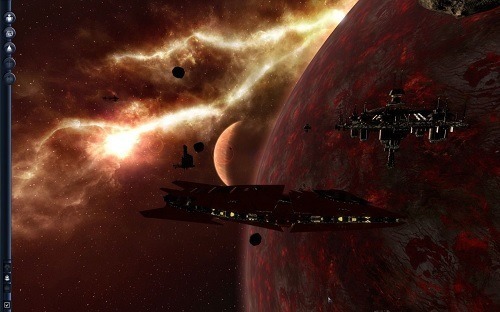 X3: Terran Conflict is a single player only experience that unleashes players on the universe with hundreds of different star systems to explore. 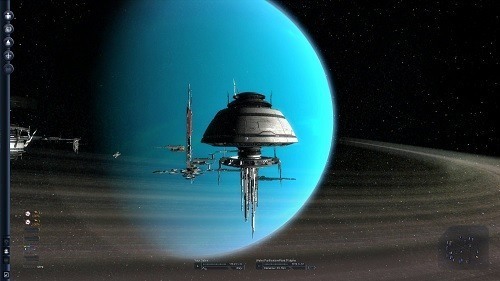 Within these star systems are thousands of planets and space stations for players to accept quests and purchase upgrades for their ship. Outside of your ship players can also acquire stations or factories to improve their economic status and earn currency. The game has a very sandbox feel with players able to explore and contribute to the game world as they please. You’ll encounter a wide range of alien races in X3: Terran Conflict with players able to pursue relationships with each one, although some will be less than forthcoming. Even without player interaction these species can war against each other and it’s not uncommon for players to come across a fire fight. Combat looks amazing in X3: Terran Conflict and is always action focused but also very strategic due to the weapon variety of the game. Not only will players get to engage in dogfights against small numbers of enemies they can also take part in wider scale battles with large numbers of ships. For fans of the X series of space games the purchase of X3: Terran Conflict is an obvious decision but it’s also one of the more easily accessible games for new players as well. Continues the popular X series of space combat and trading games. Hundreds of stars and stations to explore. Create your own factories and stations to earn currency. Fight in small and large battles. Great options for fans and new players.